Posted by Bill Mann on Wednesday, February 6th, 2013 at 5:28pm. The Sussex County Association of REALTORS® (SCAOR) released numbers recently that prove what public perception has held to be true for several months now – real estate is on the rise, in southern Delaware and across the country. Year end totals for 2012 show a 14 percent increase in sales over the previous year, with more than 4,000 real estate transactions taking place in Sussex County during the calendar year. That equates to nearly 11 sales every single day of 2012. 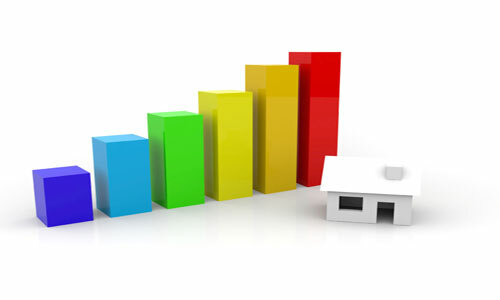 Additionally, the average single-family home in Sussex County sold for $327,122 last year, up 9 percent over 2011. Single-family home sales in 2012 rose more than 18 percent over the previous year, with 3,612 homes accounting for more than one billion dollars in real estate transactions. Nearly 600 homes were sold in Sussex County in the fourth quarter of 2012 alone, for an average price of a little more than $366,000. Townhome and condominium sales continued to be brisk as well in the final quarter of the year, with 227 units accounting for close to $75 million in sales. The data, says REALTORS®, is cause for enthusiasm and excitement as the nation begins to put the crippling recession of a few years ago in its collective rear view mirror. In recent months, southern Delaware’s real estate market, and those of many in the mid-Atlantic region, have benefited from a larger than normal supply of homes, as well as historically low interest rates that have helped spur the nation’s economy. That continues to be the case, though supplies are beginning to come down to a more manageable level in Sussex County. The area continues to be a popular destination for retirees, as new homeowners have been taking advantage of buying opportunities not seen for years in America’s First State. That is expected to continue, as the combination of affordable real estate, low taxes and the proximity to the Atlantic coastline continue to be major draws. More than $1.04 billion in local real estate was sold in Sussex County in 2012, in the single-family market segment alone. Additionally, more than $250 million was generated in condominium and/or townhome sales, more than $16 million in mobile home sales and more than $95 million in sales of land. All three segments have also shown growth from the 2011 calendar year. The one segment that continues to underperform the market is commercial real estate, which has fallen by 13 percent from 2011 figures.